One of the most fundamental questions that many bloggers struggle with these days is how to drive more traffic to their blogs. As you know, audience response is crucial for pushing up conversions and for retaining a profitable place in the future. However, the task of user-engagement is far from easy. It has various ins and outs, which need to be properly addressed by the bloggers. Techniques, which demand experimentation and masterful execution. If you are new to the business of blogging and have been unsuccessful so far in boosting your social activity, then it is time for you to try the ever-popular technique of a ‘round-up’. What is a round-up? It is a type of blog post, which features a collection of contributions made by various experts in a particular niche. As a rule, the host blogger poses an interesting topic for discussion in front of various authority bloggers and requests them to provide their respective insights. Such a compilation of ‘expert opinions’ succeeds in attracting a large number of readers—gaining the attention of the influencer circles as well. Moreover, it raises the authority of the host blog by association and builds relationships in addition to mere links for the blog. This begs the question. How can you possibly create a round-up post which not only skyrockets your traffic but also propels you from the beginner blogger level to that of a pro? Contrary to what you may tend to think, it is actually quite easy to manage. 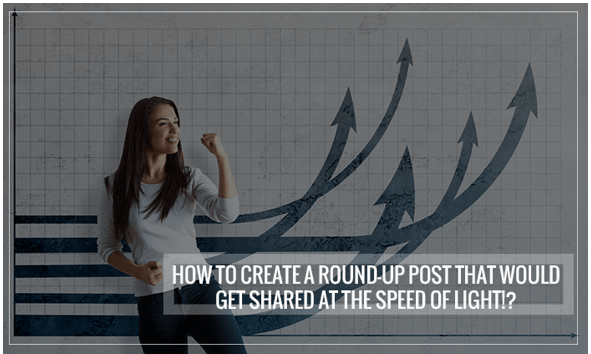 In that connection, check out the tried-and-tested guidelines for making a viral-potential round-up below. • Forums and Communities—These are the online platforms where people generally publish their current conundrums, hoping to get instant answers. ‘Quora’ and ‘Warrior Forum’ can be good places to start. Browse around for recurring problems with no satisfying answers. • LinkedIn Groups—Check out the featured group discussions of LinkedIn groups, often ranked at the top, and extract a hot subject from there. • Email Surveys—Step up your game and send creative surveys to your email list, asking the subscriber audience what they are most struggling with. Use the response to construct a question for your round-up post. • Comments Section—People are quite candid in the comments section whether of a blog post or a social media stream. Scan this part for an issue that stands out and use it for your post. • Super-Specific—Vague and over-generalized round-up questions tend to dissuade the experts from contributing. So, be super-specific and focused. • Time-Relevant—If you are planning to publish a round-up which discusses an outdated issue of yore, then think again. Experts and users prefer topics which are current and relevant. • Negatively-Moulded—This is a risky tip, but it has often been seen to work wonders. If you craft your questions like, “Why do people fail…”, “What mistakes people make…” and “What do people miss out…”, then you’ll be sure to pique the readers’ intrigue and get their attention. Keeping these points in mind, create your round-up question. • Brand-name Experts—Well-recognized influencers who have a huge following. • Cross-Channel Experts—Shoulder niche authorities who might have an out-of-the-box perspective to offer on your topic. • Up-and-Comers—Bloggers who are rising stars and extremely willing to share their fresh opinions. You can locate these experts in Google searches, other expert round-ups, on social media and through influencer-finding tools like Topsy. • Personalized—Address the experts by name, show them how much you value their opinions and how eagerly you wish to feature their insights on your blog. Refrain from sending the same outreach email to all the experts. Instead, personalize each draft. • Apt and Short—Authority bloggers do not have the time to go through an email that can easily be mistaken for an essay. So, keep the pitch short, light and to-the-point. • Structured—A proper framework is always looked at in a favourable way. Give your email a clear structure and a discernible shape. Begin with the reason for emailing, follow this with the main round-up question, mention the incentives (benefit-oriented), give a deadline, and conclude the email on a hopeful note. Make a powerful pitch that is hard to ignore by following these pointers, and you will get positive responses by the minute. • Break the post into sections, ornate with catchy headlines. • Write an illuminating bio for each expert, as short intros for the readers. • Format the responses while keeping readability in mind. • Add picture quotes here and there to make the post shareable on Twitter. • Give a clear CTA at the end, along with a solid conclusion. You have hit the ‘publish’ button and released the round-up post on your blogging site. It is live, finally! No time to rest, because now comes the promotion part. Let your featured experts know that the post has been published, and request them to share it in their own circles. Follow it with a thank you email. Head over to your social media profiles and post the round-up there—tagging the mentioned experts. You can use various promotional containers as well, such as one-minute videos, infographics, slides, press releases, content launch via email and on widely read online forums etc. In conclusion, once you stand on the shoulders of the giants through your round-up post, your blog’s visibility will reach the high heavens. This is a guarantee. Guest article written by: Sage Houston. Born in Lincolnshire, Illinois and moving past all hurdles that came her way to NYC – Sage has seen it all. Rekt the world with her ‘been there and done that’ attitude and showed nothing but compassion to animals and plants. 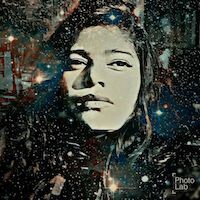 Owning 3 cats, at the moment, she believes to open an animal sanctuary in time alongside pushing forth her writing career. Sage works as a digital marketer and is loved not just as the human she is but also because of her work and passion. Follow Sage on Facebook and Twitter. Good post.Thank you so much for sharing it.You have provided some useful information here.It will be helpful to many people.I liked this blog very much.You always share some interesting post here.People can learn new things from this site.So glad to read this post.It is a pleasure to visit this site.Keep sharing more posts.Really looking forward to it.Thanks once again for sharing this post.